Joining Jin Soon in L.A.
As an L.A.-based magazine, it’s rare we get to meet some of the big names in nails on the East Coast. 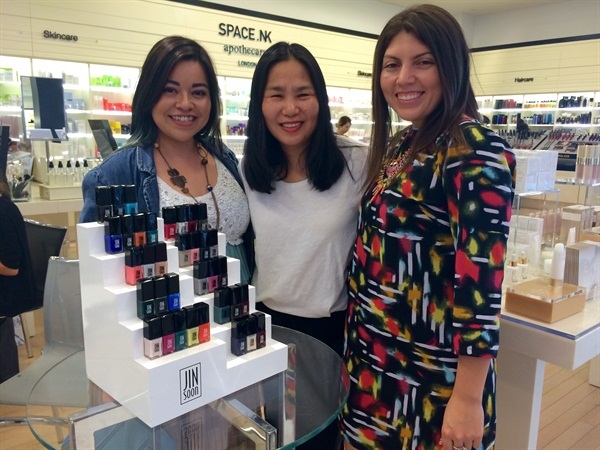 So when celebrity manicurist Jin Soon Choi invited us to preview her spring collection and meet up with her at Space NK (inside Bloomingdales) we jumped at the chance. Choi described her time in L.A. as feeling like a “vacation” after the extreme New York winter, and our time with her felt like a relaxing getaway as well. Choi’s Spring/Summer collection is full of vibrant colors Tila, Farouche, Enflamèe, Charme, and Doux. Her color story this season was brought about by her collaboration with French designer Tila March, who created bags in vibrant colors that go along with the polish palette. Choi was also inspired by Matisse and the artist’s use of vibrant color that is both modern and wearable for women at any age. For Choi, nails are an accessory, so simplicity can always be dressed up by what nails are worn with or how they are styled in photos. Choi’s lookbook contained not only cool nail art concepts, but the polish mogul revealed that she also styled and propped the photos. She proved she had a unique eye by styling and taking two shots of assistant editor Sigourney Nuñez’s nails, one before her manicure with JINsoon polish, and one after. Mosh predicts that Angelinos will love JINsoon because it’s five-free and vegan. 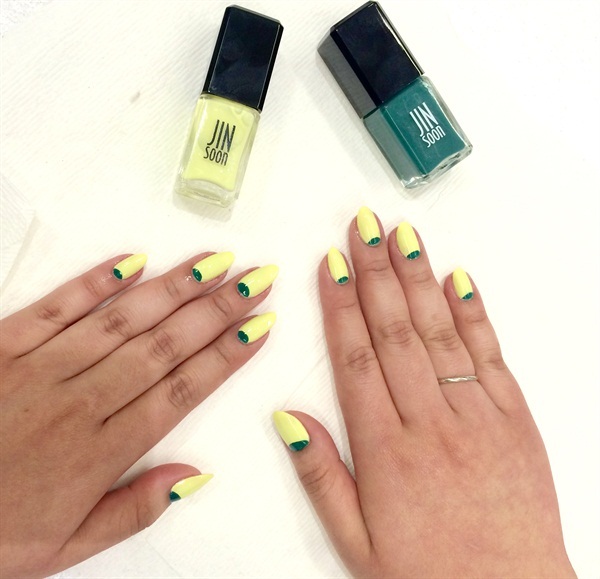 Our sincerest thanks to Jin Soon and Kait Mosh for getting our nails ready for spring/summer 2015!